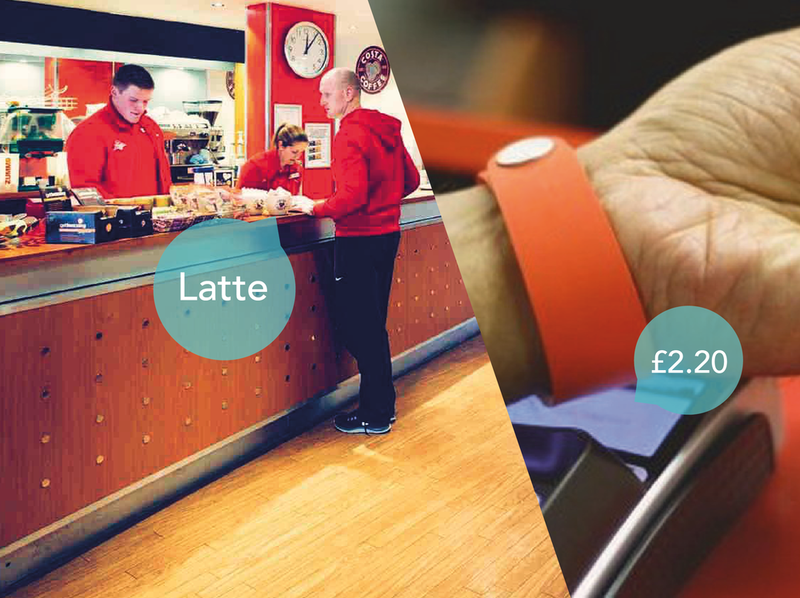 Barclaycard’s bPay wearables (wristbands, fobs, stickers) use NFC (Near Field Communication) technology to enable secure information access, simple payments, and have the potential for “enriched connected consumer experiences”. In collaboration with the Glasgow School of Art, 360 worked as team of researchers and designers to explore the opportunities in today’s gym experience and create a road map of meaningful gym interactions and service concepts for the bPay technology. Through interviews, observations and cultural analysis, we researched today’s gym experience broadly across the two price ends of the market: the high end (E.g. Virgin Active) and the budget end (E.g. Pure Gym). Considering the needs of both the gym members and the gym itself, we understood where the thresholds of physical and mental states. For instance - where are the thresholds for convenience, thirst, hunger, safety, status, reward and why? As a result, we discovered the core attitudes towards the gym on three levels: solo, partner and group. The gym member uses these attitudes to experience the gym depending on their expectations and motivations - how the gym is working for them at the phase in their membership timeline. Cross Fit Gym Girls group (pictured above) expressed that their club is more about not having to go on your own and having someone there to motivate you. We modelled the gym experience as a journey from Pre-gym to Gym to Post-gym through five behaviours: Learn, Focus, Activity, Reward, Evaluate. Along this journey expectations get condensed into concrete, simplified and measurable actions. Gym members reward themselves for achieving the actions and keeping motivated. Part of the blame for not achieving the bigger idea can be passed onto the gym and others involved during the membership timeline. Ultimately, the gym member’s evaluation translates into their learning which continues throughout their membership. The developed experience model gave us a powerful framework to develop new gym interactions and service concepts with the bPay technology. We designed the new gym interactions and service concepts along two journeys - low fidelity and high fidelity - to mockup what those bPay enabled gym experiences would involve. Throughout the phases of the gym experience we framed the needs of the gym itself and their gym members, and used them as design drivers for the bPay technology. Mockup of interaction: enhanced personalization of service from trainers. We ranked the opportunity areas based on the insights of what a meaningful gym experience could be and created a road map of the bPay technology deployment. This included: enhanced personalisation of service from trainers, gym challenges and lifestyle rewards, and charitable donations. Further more, we proposed the necessary prototyping to scale growth and adoption with the key influencers in the gym experience. Like what you see? We’d be happy to meet for a chat.